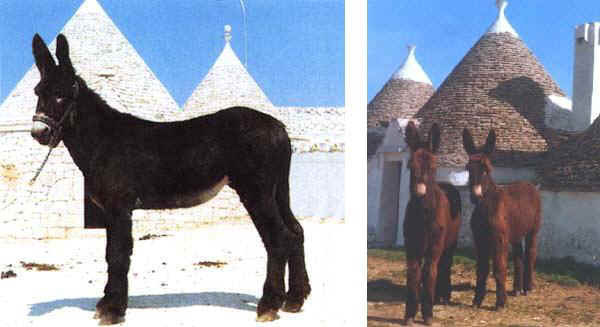 A large size breed from Apulia (Martina Franca, Alberobello, Locorotondo, Ceglie Massapica, Noci, Mottola e Massafra, between the provinces of Bari, Taranto and Brindisi). 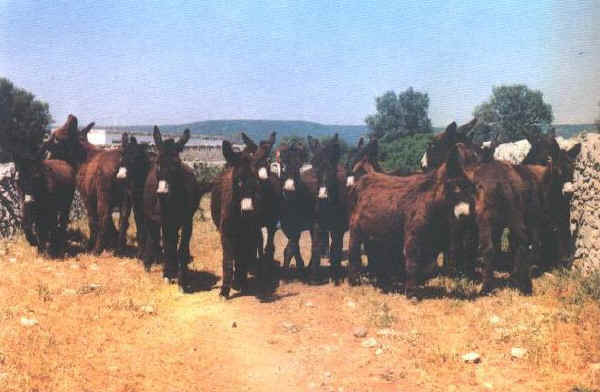 It is likely to come from the crossbreed between the local dark coated donkeys with examples coming from Catalogna (Catalana breed), largely imported in that area at the beginning of the XVI century during the long Spanish rule. Frugal, it can adapt to difficult and rocky ground. It was applied as beast of burden and the production of mules. Quite lively temperament. Height to the withers: 135-160 cm.